The best women's teams in the world will compete in Japan from August 22 through to September 6. The men's tournament will follow from September 8-23. Only Brazil are guaranteed a place at the Olympics, as hosts. A further eleven men’s and women’s teams will earn places at the competition over the next few months - the first two tickets to Rio are up for grabs at the World Cup in Japan, which features twelve teams from across the globe in both the men’s and women’s competitions. In the Women’s World Cup, hosts Japan are joined by world champions USA, World Championship silver medallists China and Korea, who are the best-placed Asian teams in the world rankings, as well as European champions Russia and Serbia via the European rankings, Argentina and Peru from the South American qualifier, the Dominican Republic and Cuba from the NORCECA Champions Cup, and Kenya and Algeria from the African Championship. The favourites are the two finalists from last year’s FIVB Volleyball Women’s World Championship Italy 2014 – USA and China. 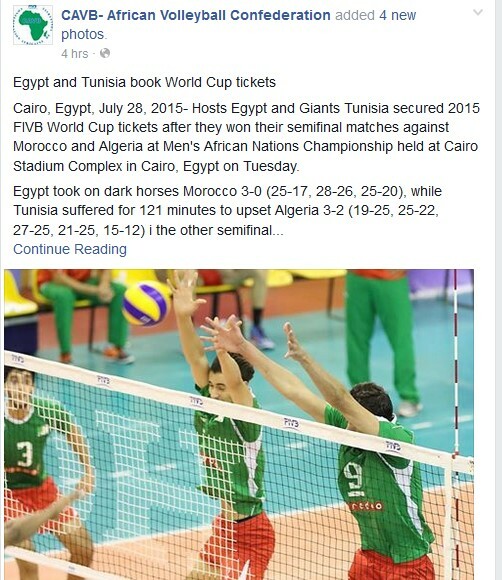 The men’s competition sees hosts Japan line up against world champions Poland, Iran and Australia as the best-placed Asian teams in the world rankings, Olympic gold medallists Russia and Italy via the European rankings, Argentina and Venezuela from the South American qualifier, the USA and Canada from the NORCECA Champions Cup, and Egypt and Tunisia from the African Championship. USA, who finished third in this year’s FIVB World League, Poland, Russia and Iran are the teams most fancied to secure the two tickets to the Olympics. The next stops on the road to the Olympics are the four Continental Olympic Qualification Tournaments (COQT) for both men’s and women’s teams. The winners of each of the four Continental Olympic Qualification Tournaments (NORCECA, CEV, CSV, CAVB) will also book places in Rio. 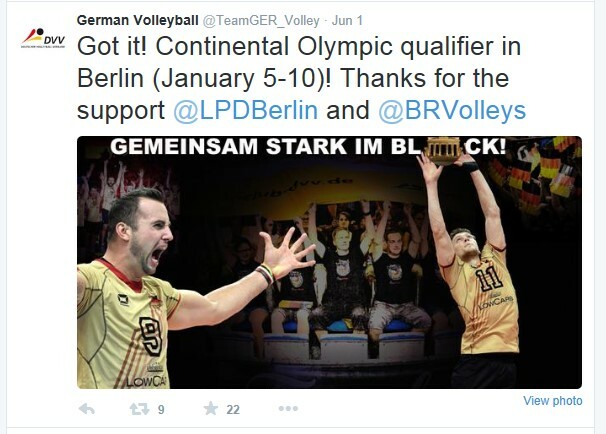 Berlin (men) and Ankara (women) will host the tournaments in Europe. 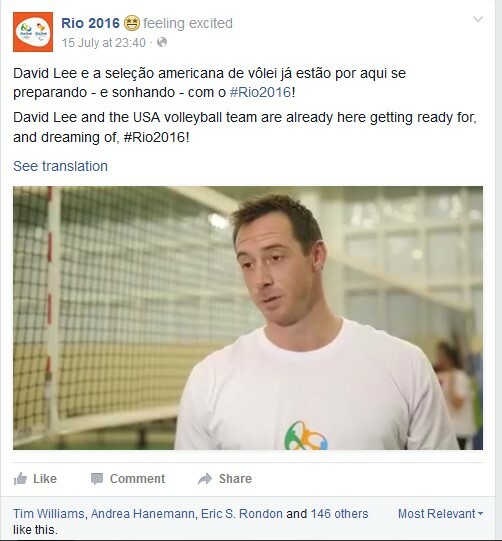 The volleyball competition at the Olympic Games in Rio de Janeiro will be a huge party. The demand for tickets is greater than any other sport, and the organisers expect every match to be a sell-out.